If you are following the Android P development, chances are you are already familiar with most of the changes the new version of the OS brings. One of the most discussed revamps is the new recent apps horizontal switcher. 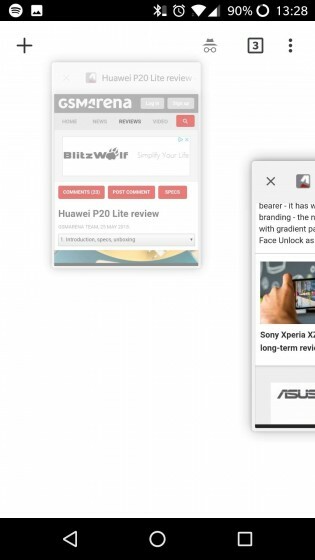 Well, Google is looking to implement the same design concept in its Android Chrome app too. The latest update in Chrome Canary (an unstable version of Chrome with some experimental features) allows you to get a taste of what's coming to the standard version of the browser. The new design arranges the opened tabs side by side instead of overlapping them vertically. Now you can see the full content of the pages in each tab. Swiping up and down will close the tab. Incognito tab handling has also been changed - all tabs opened in incognito can be seen by tapping the incognito icon in the upper right corner. Tapping it again will bring you back to your regular tabs. 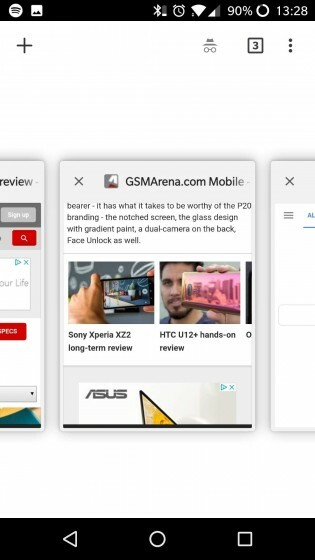 The new horizontal tab switcher will probably be implemented pretty soon but if you are eager to see how it works, you have to install the Chrome Canary app from Google Play and bring out the flags by typing chrome://flags in the search box, find the #enable-horizontal-tab-switcher and enable it.